I’ve long been intrigued by a French skincare routine. French men and women take their skincare very seriously. It’s part of their culture and there is a lot I have learned from them and have adopted into my own skincare routine. In this post, I’ll share my personal observations about a French skincare routine based on my many visits to France. 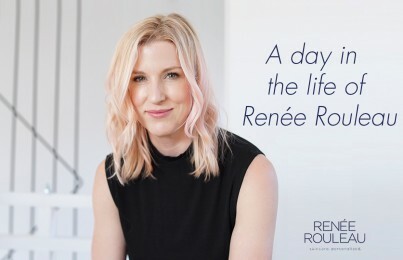 For the record, I’m part French (my maiden name is Rouleau), my husband is from France and I’m an esthetician who once sold a French skincare line. I’ve learned a lot through the years and picked up some good wisdom along the way. Why are the French known for their skincare? Skincare comes very naturally to French girls and women. I believe the main reason is that it’s part of their culture. After all, the French basically invented the facial. If you’ve ever visited there, you’ll see how many salons they have dedicated exclusively to facials and skincare—sans hair services. In some areas of Paris, you’ll see one on every other street. When I opened up my first business outside of Boston in 1991, it was a skincare salon offering only facials, acne treatments, and peels. It was French-inspired and was considered to be ahead of the curve since skincare was my only focus. What age do French girls and boys start taking care of their skin? French girls and boys start with good skincare habits as early as age 10 and it usually starts with their first facial. Since skincare is such a part of their culture, mothers pass down their wisdom to their sons and daughters early. This has been occurring for generations now. They also get started early with having a proper French skincare routine. In the U.S., I often hear people say “My mother didn’t teach me how to care for my skin and I wish she did. 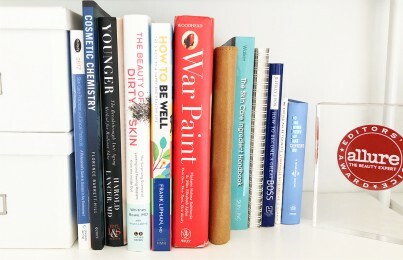 I want to teach my son and daughter the importance of skincare and self-care.” Sound familiar? What can we learn from the French about how to care for our skin? A French skincare routine is not over complicated. The French don’t have a bathroom cabinet filled with a gazillion different skincare product options like American men and women do. Additionally, they don’t get too distracted by the latest and greatest hype. Instead, they stick with what they know works and don’t change it up too much. However, in some instances, they could benefit from switching up their routine more often but I can respect the “if it’s not broken, don’t fix it” philosophy that many seem to take. Read Can your skin get used to products and stop working? When it comes to skincare products, they choose quality over quantity. The French aren’t afraid to spend on good quality, high end, performance-driven skin care products. 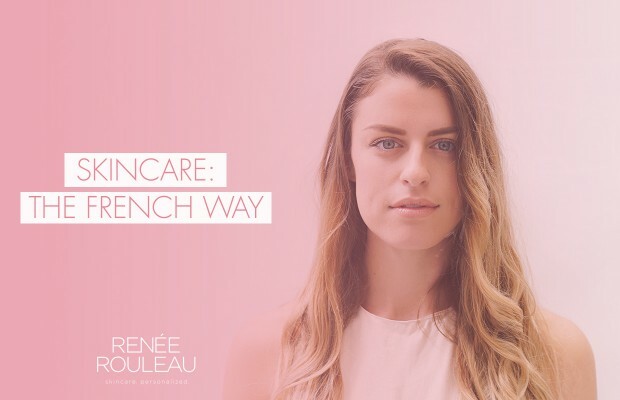 While a French skincare routine tends to be on the simpler side, they consider their skin an investment and will never skimp on quality. They are consistent and realistic. The French are very committed to their skincare routines. They realize having good skin is a marathon, not a sprint. With continued and consistent use, they know they will get results from the effort they have put in through the years. They don’t obsess about aging. I talk about this more in the 10 skincare rules I swear by but I have to say this is what inspires me most about French women. They are just quite relaxed about their beauty and feel confident in their own skin. A French family member once teased me for having “American teeth” because they were so white! “C’est la vie” is the name of their game when it comes to beauty. What does a typical French skincare routine consist of? Since Americans have long gotten inspiration from a French skincare routine, our steps are almost the same. The difference tends to be in the consistency of the products the French tend to use. The French love using toners and floral waters but they prefer them to be alcohol-free since this goes along with their gentler “nothing harsh” approach to skincare. They use them to remove impure tap water and refresh the skin. In fact, that’s one product I tend to buy whenever I’m in France. The scents are so lovely. The French have long been into using serums and love the benefits that a serum will give. In France, these have traditionally been found in an ampoule which is a glass vial that has to be snapped open to get to the product inside. More and more, you’ll find them in airless bottles but ampoules are still quite common. A French esthetician developed serum-infused ice cubes which inspired me to make them to use on my own clients. The French do not shy away from oils, that is for sure. A French moisturizer tends to be rich, very moisturizing and often times will be highly fragranced. As for sunscreen, this is one area where their skincare is lacking. Many French women see sunscreen as something you wear to the beach and are not always diligent about wearing it on a regular day. In fact, I once had a French esthetician tell me, “You Americans are into that sunscreen thing.” I very much believe this to be true. However, younger French girls are catching on to the daily use of sunscreen, so that’s good. Read my suggestions for the perfect morning skincare routine. Read my suggestions for the perfect evening routine. What about a French skincare routine for acne? I rarely see French teens or adults with a lot of blemishes. This has always surprised me when I visit. Even my nieces and nephews will tell me that teen acne is not much of a French thing. It’s not to say they don’t get it but I tend to see more closed comedones (clogged pores) than I do acne. This may have something to do with how many people in France smoke but it’s hard to say. It just completely shocks me that I don’t much active acne considering how much cheese they eat and dairy is well known to cause cystic breakouts especially in the chin and jawline area. My best conclusion is the dairy cows are given fewer or different types of hormones that are less problematic for the skin. Additionally, a French life will have less stress than an American life has. After all, they do take long summer holidays where literally shops are closed for an entire month! (Don’t remind me of the time my husband had a bad tooth infection during their long holiday and it was nearly impossible to find any sort of dentist to see him! When they check out, THEY CHECK OUT. In fact, full-time workers in France are guaranteed at least five weeks vacation and they have a maximum 35-hour work week. Ready for a new skincare routine? Take this Skin Type Quiz to get product recommendations. Do French women get cosmetic surgery, fillers or Botox? Yes, however, they will not go to any extremes. They like to look their best but do not partake in cosmetic procedures too often for fear of not looking like themselves. In a recent issue of The Hollywood Reporter, I was reading about actresses and French cosmetic surgery. “My patients in France live in fear of the Hollywood look. People in the U.S. think Nicole Kidman and Megan Fox look good, but we think they look overdone,” says Parisian plastic surgeon Olivier Claude. “An actress in France wants to look her age but better,” says Parisian plastic surgeon Christophe Lepage. Cosmetic surgery in France is not nearly as popular as in the U.S. You won’t see many women who’ve had facelifts. They take a very holistic approach and embrace their natural beauty. The same goes for their hair color. They may cover their grey as it comes in but a French woman is less likely to change to a color that is unlike their own natural one. (Example, changing from a natural brunette color to blonde.) French women are all about aging gracefully and they seek confidence from their fabulous wardrobe. If you’ve ever been to France, you’ll see they have incredible style. What are some skincare tips that French women swear by? The French believe regular facials play an important supporting role in the overall health of their skin. They especially love facial massage and microcurrent lifting treatments. As for exfoliation, they love a good gommage treatment to rub away dry skin cells. They also like a gentle enzyme or light acid exfoliator to prep the skin. Speaking of professional treatments, I once attended Paris Beauty Week and saw how microdermabrasion can go terribly wrong. In addition to having a good French skincare routine to “feed” the skin, men and women will also eat a diet consisting of fresh fruits and vegetables and they tend to stay away from unprocessed foods. Whenever I’m staying with family in France, I love looking on their counters and in their refrigerators. Serious #foodgoals! Oh…and the cheese. Stinky but oh so good. Fun fact: They don’t keep the temperature of their refrigerator very cold like Americans do. At first, this made me nervous thinking their food would go bad, but it still manages to stay fresh. Is a French facial different than an American facial? Being an esthetician in France is a very common profession. In fact, my own French mother-in-law was an esthetician way back in the 60s and 70s long before this profession made its way to the U.S. As for facials, I have had many facials in France and like any facial, they can be hit or miss. A French facial tends to be longer than an American facial with much of the time spent on a luxurious face, neck and shoulder massage. Their exfoliating treatments tend to be gentler since the French are NOT into the “if it’s burning, it must be working” approach like Americans can be. Read my French facial review. Do the French have any bad skincare habits? While the French practice good skin care habits, keep their stress levels intact and eat healthy foods, their one bad habit is smoking. Many girls, guys, and women in France smoke. I actually walked into a skincare salon once, and the receptionist who greeted me was actually smoking right there at the front desk! Smoking certainly isn’t healthy for their skin and many women do have a sallow, dull skin color as a result of both first and second-hand smoke. I have learned a lot about a French skincare routine through the years. In fact, my extensive product line based on nine skin types definitely is French-inspired. (Although I don’t use any synthetic fragrances and a lot of French skincare products are perfumed.) I love going to France and being a curious person, I always pick up new inspiration to bring back to share with our customers and clients. I hope this post gives you a new way to think about your own skincare habits. Looking for a simple, yet effective routine? Here’s what you need. Hi! I have been a long time user of the clarisonic and in the past year or so have started to think my skin is no longer reacting to it like it has in the past. I have been reading about the use of scrubs and acids instead on your advice pages and wonder if I do three days on three days off with an acid, what days do you usually incorporate a facial scrub? Also, is it better to do three days on and then three days off or do every other night….I would like to find a good balance between acid and scrub but my skin just doesnt seem to be responding! Any advice is greatly appreciated! Hello Sarah, Thanks for reading my blog. So I suggest three nights on, three nights off with an acid serum and then for a facial scrub you can use it 2-3 mornings a week. You might do two of the mornings when you have not used the acid the night before, and then one other morning when you did use the acid serum the previous night. But always listen to your skin. It will let you know if it’s too much. Redness and irritation is a no-no, of course. Thanks so much for a fast response! As a follow up, would I get similar results if I used a scrub threeish times a week or every other night? Or acids are an important incorporation into any routine? If I decide to get three nights/three off plus a scrub 2 times a week, do you have any tips or recommendations for how to keep track of what days to do the scrub since the days will always be changing on this regimen? Seems a bit overwhelming to remember what night you did what! but that could just be me 😉 Thanks so much for this help! Acids will definitely deliver better results because they work deeper within the skin. 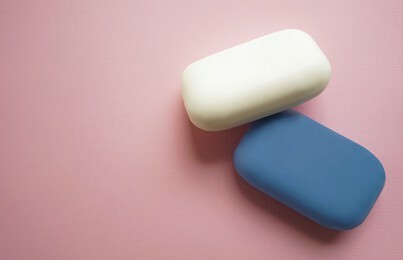 And as for the scrub, don’t worry if you can remember when you use it, just do the best you can.